Let’s start off with how much we all LOVE travel websites! The amazing photos, the adventurous spirits, new cultures, food, and scenery. Full time traveling SEEMS like it really has everything going for it. 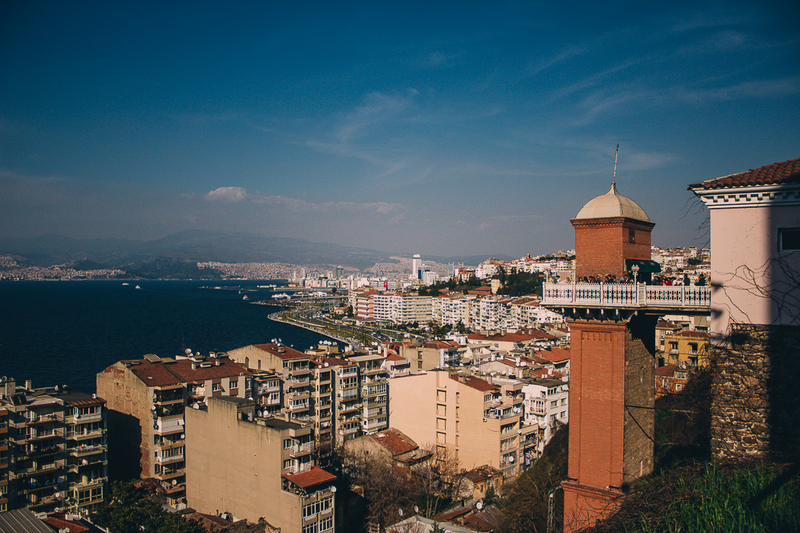 In fact, as my husband and I were planning our move from the States to Turkey, I was convinced we could do it. I could not, however, convince him that it was a good idea as well. 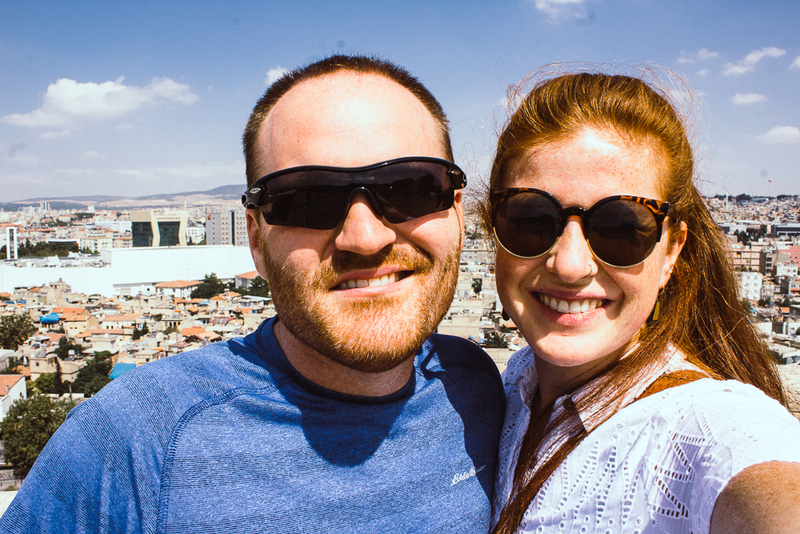 Now almost a year into our move, we are settled in the sunny, 4 million large city of Izmir, and I could not be happier with choosing to settle in one location as an expat and then travel out from our cozy home. 1. WORK: Not everyone is made to work and travel full-time. Fortunately, if we wanted to, we have that option. But there are so many other international full-time jobs that provide a steady income, housing allowances, insurance, and vacation time. It’s truly the best of both worlds! Consider becoming a language tutor, teacher, tour guide, airline attendant, or find an international job location via your current company. 2. HOME BASE: Let’s face it, some of us are homebodies. We like our routine… our morning coffee in the same comfy chair with the same perfect blanket… ok, maybe I have found out from my now 3 international expat moves, that is just who I am. And there is no shame about it. From a work perspective, my husband does best when he has a routine and a home office to work from during the day. We do best as a couple when we know what is expected and how we can best help one another. 3. COMMUNITY: Since our families live in the states, finding closeness to people here in the local community is important to us. Our online community is a huge support, but we also find that it is so helpful and encouraging to have a local group of friends to depend on in a foreign country. 4. DEEPER CULTURAL IMMERSION: Cultural is my favorite reason to live somewhere else long term. There is so much I am learning now, almost 3 years into Turkish culture, that I am constantly surprised by the complexity of culture! Plus, cultures evolve and changes just like the people that comprise it. Watching it change from when I first lived here 8 years ago has been even more interesting! 5. 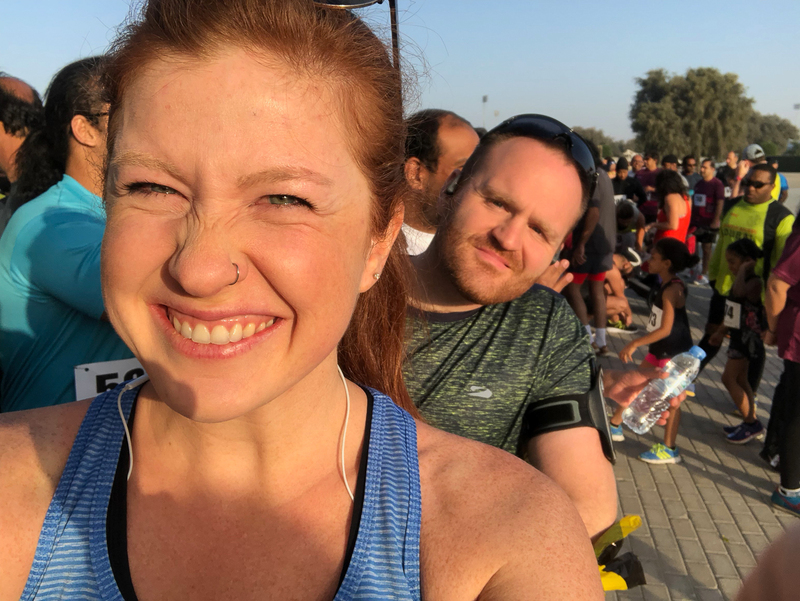 SLOW TRAVEL: It’s funny that I wrote ‘slow travel’ because I am actually a fast traveller by nature, but my husband is the definition of a slow traveller. Meaning that when we plan a vacation, I know that we will take half the day to rest, read, and sleep for him and the other half to explore what we can for me. It usually means that we decide to stay longer in one place in order to truly experience all it has to offer. It also means that we may just go to 1 city instead of 5 cities in one week. 6. SANITY: While some people are great at moving, touring, transitioning and maintaining emotionally consistency, others need time to process. Whether you are single, traveling with a friend, or married, it takes work to make sure you are communicating well and are emotionally healthy. Staying in one place teaching you to reflect, adapt, change, and learn who you are in one culture, one country. You learn to thrive in a place you are not a native for longer than a few days/weeks. While it is hard, it is one of the biggest rewards! From the few reasons listing above (and many long conversations we had before our move), we were able to really see who we are and not what we wanted to be. Our intentionally dreaming and reflecting made our lives as expats much easier and less stressful through the transition to internationally living. Hopefully, you will be able to do the same and make the best choice for you! 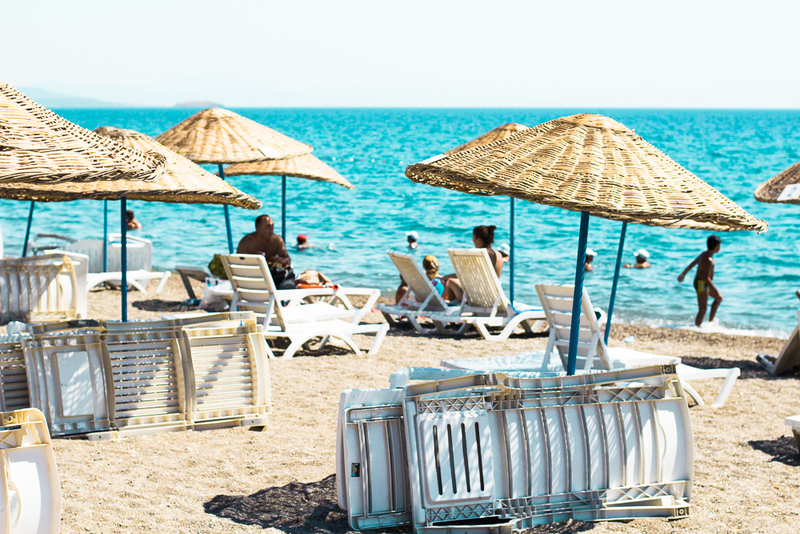 Would you consider yourself more apt to being a full-time traveler or does expat living sound like it could be the better option for you? While it is safe to say that we are happy to see the new year, 2016 will always be one to remember for our family! Several words come to mind as we think back to our year: Anticipation, preparation, happiness, sadness(Both the sadness of mourning and the joyful kind that comes with change), transition, struggle, identity, finishing, loneliness, longing, dreaming, adventurous. As I was considering how to write about 2016, it truly centers around one major event…. Jason and I (plus our 8 bags) moved to Turkey. I ran a half marathon in Chicago with my sister and mom. Jason found his first client that hired him KNOWING we were going to be living internationally (and it has worked so well!). After 3 years as a study abroad program assistant Iowa State, I moved on so that, together, we could pursue this move. In August, we left our 6 (now 7) nieces and nephews behind. Oh and the rest of our family. (jk, we love ya’ll too!) Which also meant that we missed meeting our new niece born 3 weeks after we left the states. In August, we also left an amazing church and community of people. From the end of July to October 5, we lived in someone else’s home, hotel, Airbnb, apartment, or tent (yes, we count those 2 nights!). In December, we enjoyed some time away on our #funkchristmas2016 tour in which we made our way through Switzerland, France, Germany, and Prague (episode 23 and episode 24). We somehow managed to be right on budget with our moving fund which has allowed us to rent an apartment, set up accounts, get our visas, buy furniture, and take some language. Now we are back to our monthly budget! Crazily enough, that international move means we spent about a 3rd of our year living outside of the U.S.A.! Leaving my job. I will say that my job at the beginning wasn’t all roses, but over time it grew into a job I really loved. I enjoyed my co-workers and miss that community dearly. The failed coup in Turkey (episode 12 and episode013). While we did make the most of this, the events that have been happening in Turkey made the 2 months leading up to our move MUCH harder for people to celebrate with us about. In January, I convinced Jason that we should have a shared project of podcasting our way through our move(episode 1). 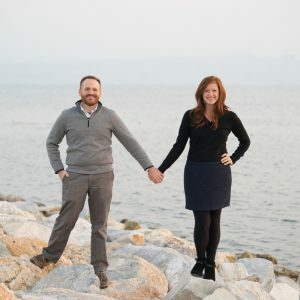 One year later, our little side hobby of podcasting about our life changes and international move is still going strong. The first four episodes talk about our past travels to San Francisco, Boston, Italy, and Dubai. Our most listened too, Episode 9 announces our move and explains our decision to move overseas. Episode 13 premiers our first guest speaker! In March we had a crawfish boil… in IOWA. Our long time friend, Mandy ‘B’ and her husband hosted a group of friends at their home, and we somehow managed to store a massive box of overnighted crawfish into our refrigerator (which then leaked into the rest of our fridge… but #WORTHIT). In April, I took a day photography workshop with Alex+Val Education, and it was SO helpful. It has really given me more confidence in how to use my DSL camera on manual settings. I also purchased a new 50mm lens which I LOVE. We both agreed that spending our first week in Turkey sailing was one of the best decisions yet. It is definitely NOT something we EVER thought we would do. Ok, maybe I thought I would, but Jason had no plans too. This experience was even better because Jason celebrated his 30th birthday on a catamaran on the coast of Turkey. Our sailing buddies, the Rowells and the Parrots, helped us share the experience via epsiode 17. Best Purchase: Hands down, my GAP overalls. Favourite TV Show: We went through a quite a few tv shows, beginning with Grimm and finishing the year with The Blacklist. But by far, I would say that Broadchurch is a MUST watch. It is the new Happy by Pharrell Williams song of 2016, and song is better to watch with the video while you listen, at least the first time! I will be the first to admit that our year could look pretty and perfect to outsiders, but as you can see above there was some really hard moment. I found myself more than once crying. Some times it was from the deep loss of identity and community. Other times it was over my nieces’ invitations to come play, but having to say no because we are choosing to live 3 plane rides and multiple time zones away. While it has been extremely hard to leave family and friends back home, this change has also been so growing for our marriage. While it is exciting to fulfill our dreams of living internationally together, there were a lot of hard conversations due to missed expectations and frustrations which thankfully followed with many more opportunities for grace and forgiveness. God is faithful to continually supply grace and love towards us, and we too much extend it towards one another. He has also given us new friendships, a new home, strength and support every step along the way. I am busy making our home cozy and studying language as well. Now that we have hot water and a dry roof, it seems like 2017 is starting off wayyy too smoothly. Jason continues to work with his U.S. clients via his software consulting business, Tough Space. So far it has been working well, but it is also a balancing act as we try to set up our home and learn Turkish as well. The podcast will continue into 2017 on the same schedule! Other thank that, we have been looking into some other online entrepreneurial projects. Maybe you will see some of that down the road! But for now, THANK YOU for being part of our 2016 move and following along on our adventure. We are excited to see what 2017 will hold!